Customer satisfaction and Customer retention are the major challenges faced by Bank’s globally in today’s business scenarios. Higher Customer expectation, new regulations and market volatility are the other challenges banks face today. These factors are forcing Banks to redefine their business model to sustain and grow their business. Technical Innovation and smart Business Process Management are the keys to succeed in this model. Banking practice at Gamma handles high complex needs our Banking customers across their value chain which includes retail banking operations, Lending and Mortgage, Credit Cards, etc. Our services help our customers to transform their process, improve financial performance and to standardize their process at reduced cost. Cross and up sell to provide market opportunities within an existing customer database. Customer analytics - to predict and determine customer choice of insurance products. Combining analytics with campaign management functionality to help drive effective marketing campaigns. Dispute handling, charge backs and investigation. 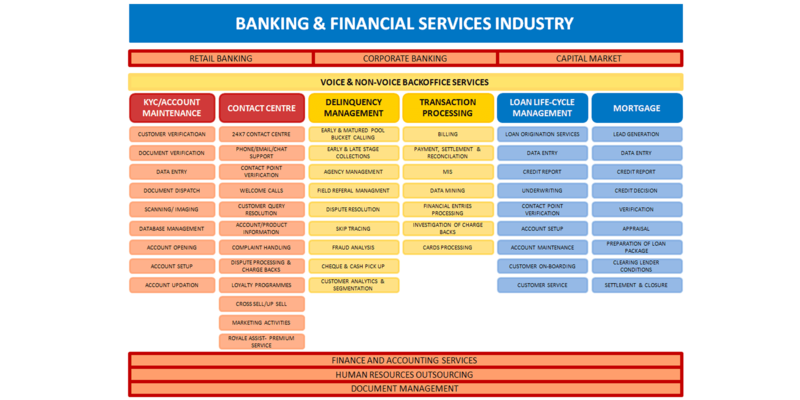 Service capability across the span of lending process requirements. Loan Origination services – Data entry of Application, Credit scoring and underwriting. Contact point verification, Account set-up and Maintenance, Customer on-boarding.